Google Chrome Offline installer. Why use Google Chrome Standalone offline installer, if you can just install it directly through a browser? Unfortunately, not all of us has the privilege of having a fast internet connection. Installing Google Chrome with default Chrome installer, is sometimes not a good option. Because if your connection is weak the installation process may stop or disconnected. Then you have to restart the process again and again until the next morning. Perhaps, that answers the question above, “Why we need Google Chrome Offline installer?”. Chrome direct download links are provided below. 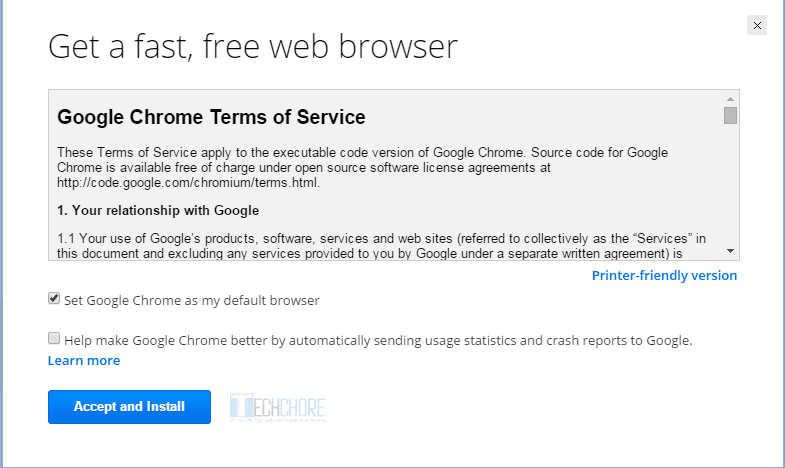 What’s New with the latest Chrome Offline installer? The Audio auto-play guidelines have changed. What does it mean? If a user block certain website’s audio all the apps that use Web Audio API will also be blocked. The only way to ply the audio is to ask the user. Chrome now displays a warning, if a user accidentally or intentionally visits fraudulent websites. Google Chrome now blocks intrusive ads. This will improve user experience and keep websites that has harmful ads at bay. Bigger file compared to Chrome default installer. Needs to be fully downloaded before can be installed. You can install it even without Internet connection. Installation time is reduced to seconds instead of minutes. It is portable, thus installing it to as many computer as you want is not an issue. 43 times larger than the Google Chrome download manager-installer. May become obsolete overtime (but once installed and you are connected to the Internet, Chrome will update automatically). Windows 10 operating system, Windows 8/8.1, Vista and (Windows XP service pack 2 until only at the end of year 2015). RAM 512 MB or higher. 512 MB, higher is better. Mac OS X 10.6 or later Mac operating system. 1. If you think your Internet connection is at least “very good”, download Chrome default installer here . This is the easiest way but may take longer if your connection is weak. 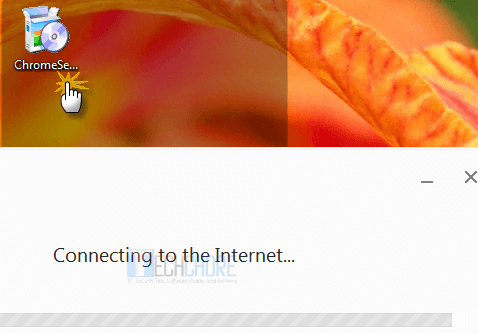 Plug-in your portable device and run the Google Chrome offline installer. To be safe run it as administrator. Thank you! At last I found the latest chrome offline installer.